We think this is an important message that needs to be heard. 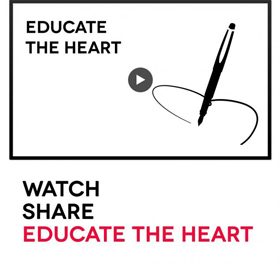 Share this video with friends, families, colleagues. Dr. Kimberly Schonert-Reichl explains why this is such an important message. Poet and author Shane Koyczan lent his voice to "Educate the Heart". Hear what it means to him.